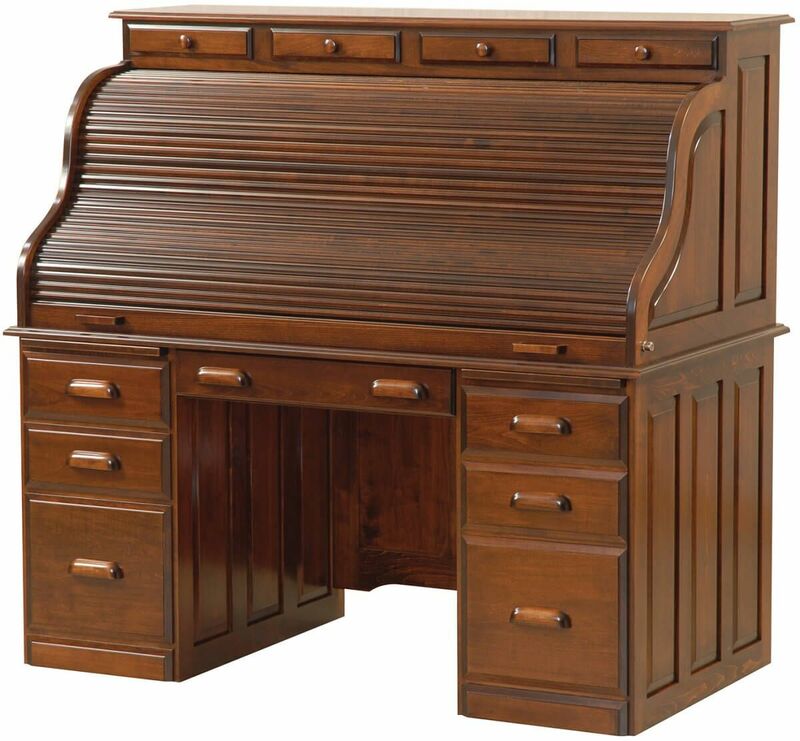 The vintage appeal the Publisher's Roll Top Desk meets modern work technology, resulting in a perfect fit Amish handcrafted piece for your home or office. The two wooden writing boards and keyboard pullout make corresponding a breeze, and you'll love the convenient letter-sized fill drawer close to your fingertips. Our lovely Publisher's Roll Top Desk has numerous cubbies and shelves so you get maximum storage for minimal floor space. 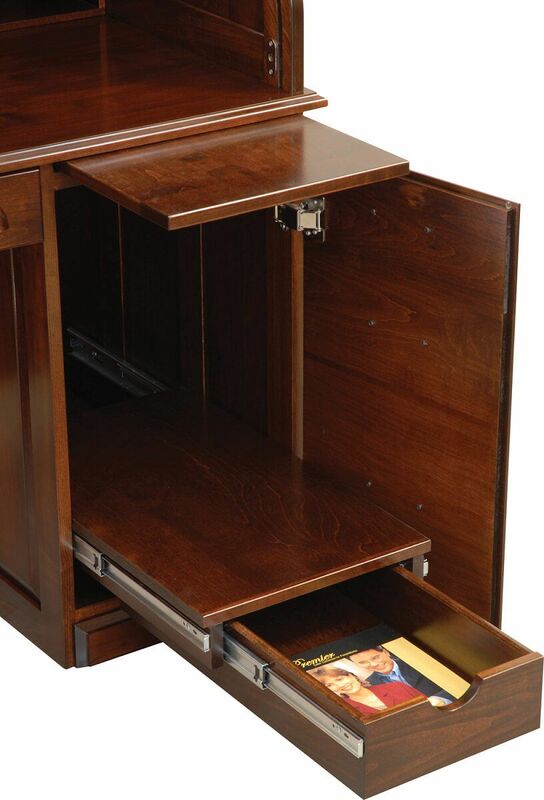 For being only 60" wide, this solid wood roll top is complete with a drawer and door look alike that hides a spacious CPU pullout space. 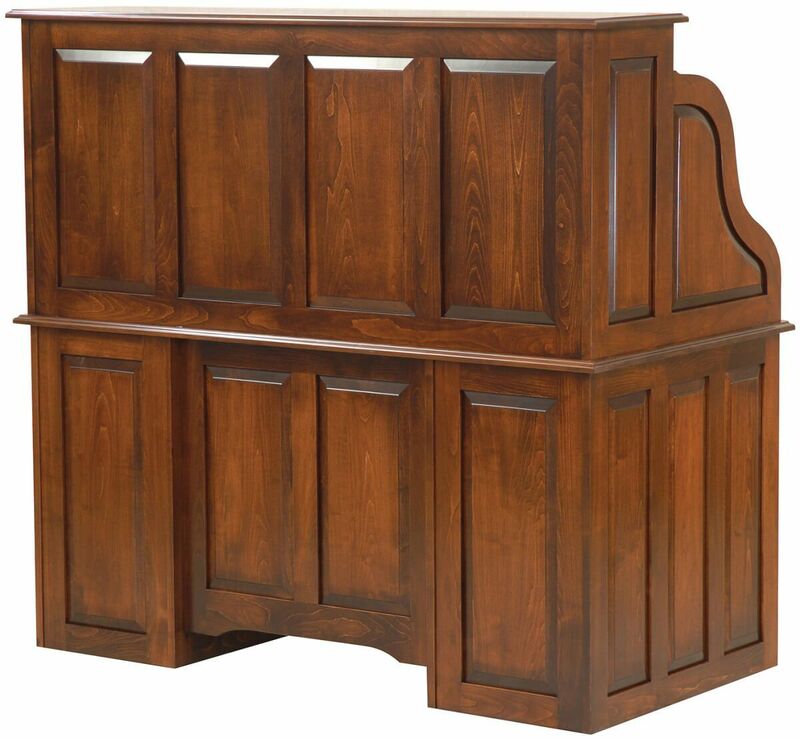 Our fine solid woods are standard on all models, but to purchase as shown select Brown Maple in a hand-stained Southern Pecan wood finish. 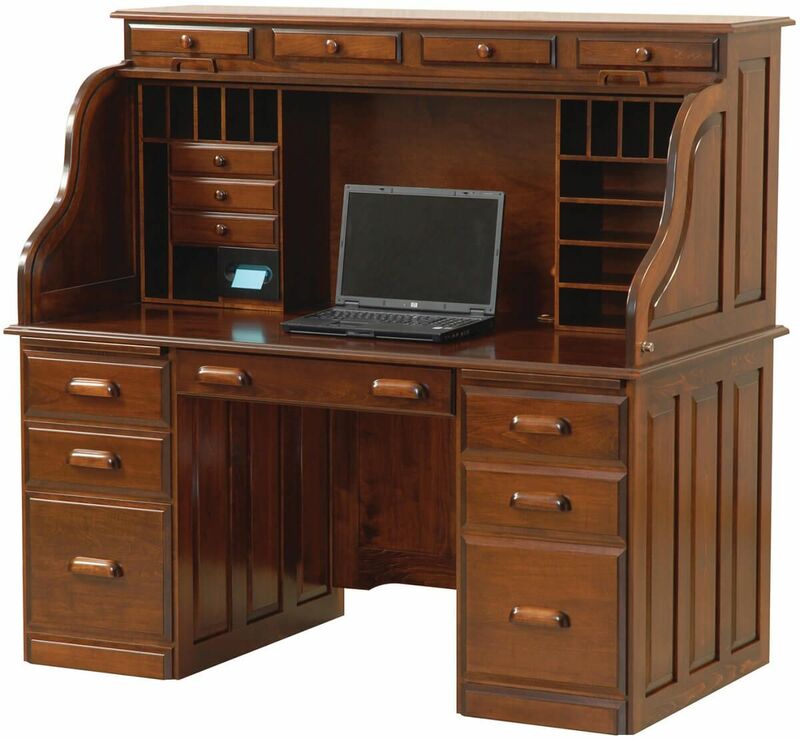 Add an optional desk top grommet for easy wire management along with double pedestal drawer locks.